STR or “Street Touring Roadster” is one of many classes available to run in SCCA SOLO (better known as autocross). 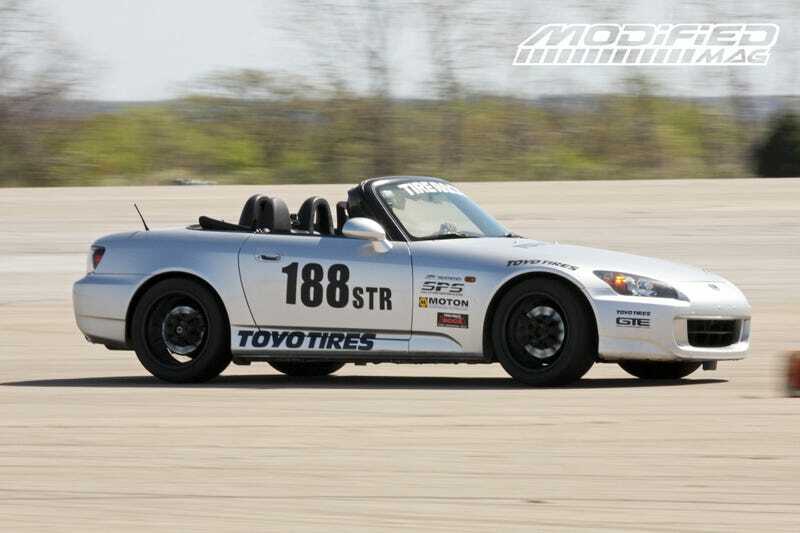 This class is often referred to as the S2000 class since they seem to dominate anything else run there. Since I decided to put 15x8 wheels and Flyin Miata Coilovers on my car, I am now also running in that class. I have no dreams of winning my class or being super competitive, but I am trying to optimize my build so that I can at least beat some of the other Miatas in STR or have a very fun time trying. Anyways, I have a question for anyone that understands the classing rules a bit better. My question involves fender rolling and what exactly is allowed. So, does this mean that using a fender rolling kit (or just a baseball bat as some fellow auto-x people have suggested to me) would be allowed? My issue is that with the wider wheels and coilover suspension, I am getting a bit of rubbing between the tires and fenders. It is actually worse during street driving (potholes, bumps, etc) than on a course, but it is still an issue on the tightest turns or pavement surface changes during an autox. I have driven two events so far with this setup. I am very happy with the performance characteristics but I would like to get rid of the rubbing and potentially go lower in ride height.